My God..this was the whole reason I got on the computer this afternoon (to post it) and I forgot ALL ABOUT IT! Well, I remember now so HA! 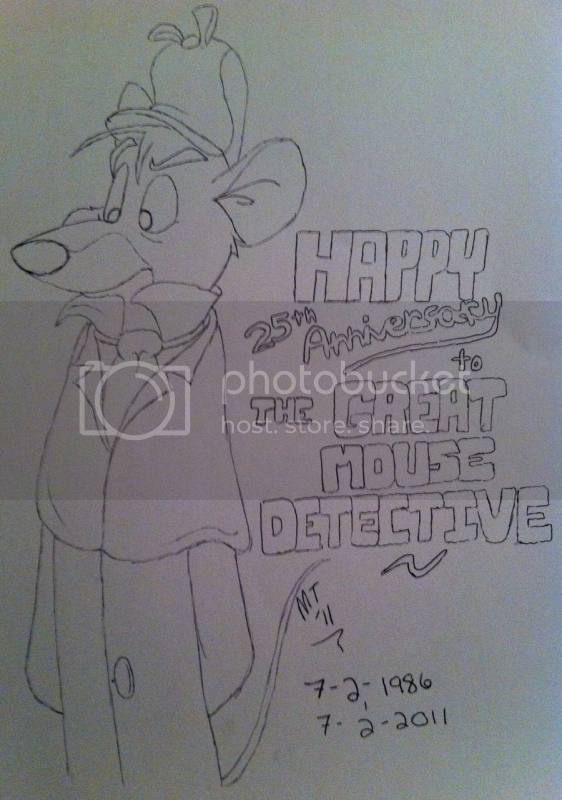 Yeah, decided to do my part for The Great Mouse Detective's 25th anniversary. Watched the movie, did a little fan art. Hand drew all of this with no references of any kind (not even for the letter stenciling), in pen, and I think it turned out..ehhhhh okay. Sorry for the blurry fuzzy look. It was a quick project, and I didn't even realize until I saw another piece of art posted for this, that today was July 2nd. Shame on me.